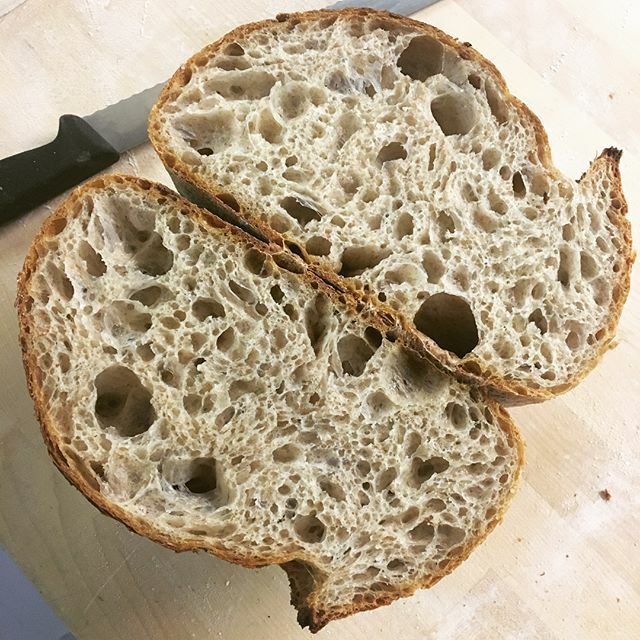 The Snapery was started in 2014 after an obsession for sourdough turned in to baking breads for friends and ignited the idea to go all in and start a bakery! Since then, the Snapery successfully crowd funded through kickstarter, the money to set up a premises in Bermondsey and enable wholesale production of our breads to local businesses. We currently supply a number of bars and restaurants on Bermondsey Street - Jose, Pizarro, Casse Croute, Pique Nique, B Street Deli, The Watch House, Maltby Street Market - Bar Tozino and Comptoir Gourmand and others in the surrounding area. We also supply to a select few restaurants outside of Bermondsey including Jose Pizarro and Palatino. Our original sourdough loaf - a mixture of white and wholemeal flour. The field loaf, with the addition of green olives and rosemary. The field loaf, with the addition of a seed mix of pumpkin, linseed, flax, poppy seed and sunflower seeds. A classic white baguette from a poolish and wholemeal starter. Available in 400g, 280g or 120g sizes. Includes a mixture of wheat and spelt flour, plus malted rye and seed mix. Available in 400g,300g, or 150g sizes. Italian bread made from our white starter, white flour and olive oil. Available in sizes from 1kg - 4kg. Italian rolls made with overnight fermented dough (biga). Available in 400g, 140g, or 120g sizes. 40% butter brioche suitable for burgers (70g) or sliders (25g). Also available as a loaf or chocolate buns. Cardamon dough and cinnamon butter filling. Brioche dough and cinnamon butter filling.